Quirky Quintessential Englishness at its’ Best! 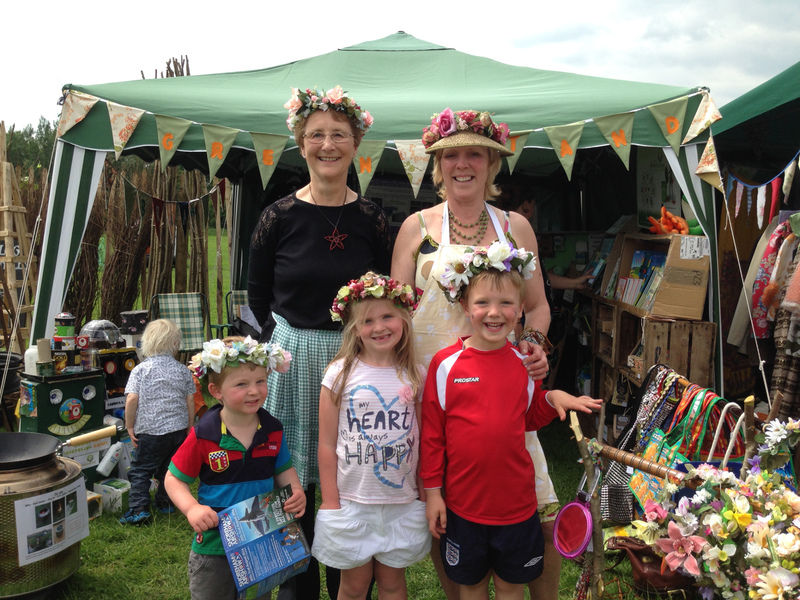 The Floral Fringe Fair 2015 is taking place on the weekend of 30th and 31st May 2015 at Knepp Castle, Shipley, Nr Horsham, West Sussex RH13 8LJ from 10.30 am to 5pm both days. Please note, this is NOT the bank holiday weekend! The fair is quirky and eclectic. It has a wildlife theme but also a vintage twist. 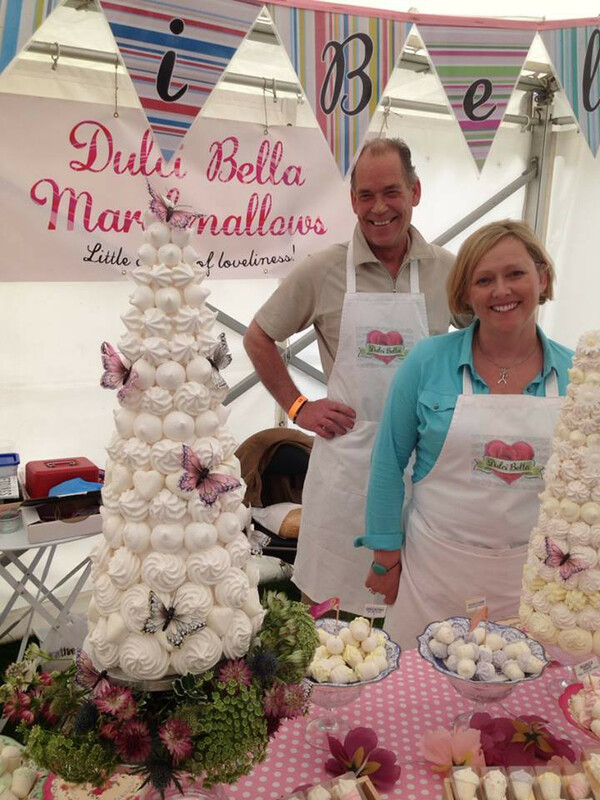 The fair specializes in quality stalls from Sussex, Surrey, Kent and Hampshire and stallholders who have actually made what they sell and so are able to talk with first hand knowledge about their product. Entry is £6.50 per person and children under 14 free. If arriving in a classic or vintage pre-1975 vehicle entry is £5.50 each for the first two occupants. Classic and vintage vehicles will have a specially allocated parking area. If in such a vehicle, dressing in appropriate fashion is especially encouraged…. or even if not arriving in a classic car, dressing in style is welcome! This year we are giving a prize each day for the best-dressed-in-vintage-style visitor. Why not bring your retro picnic basket and rug and buy all the ingredients at the fair for a picnic by the beautiful lake, or eat in our fabulous pop-up tearoom brought to Knepp by wonderful Artisan Bakehouse Tea Barn from near Steyning. The fair is becoming something of a foodies favourite. Well-behaved dogs on leads positively welcomed. There are free-roaming cattle, sheep, ponies, geese and deer which may have young, so leads are essential at all times. We saw some gorgeous pooches come to the fair last year. We have thought of them with a stall selling delicious doggy treats for good dogs! 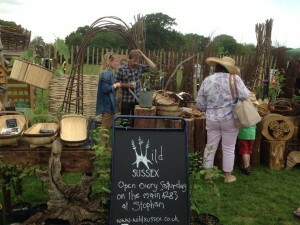 The overall theme of the fair is our native wildlife and how to encourage it into the garden but the fair has grown and developed into much more than that. 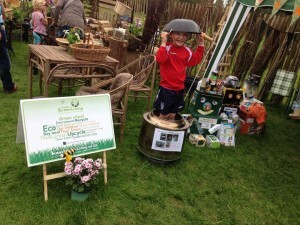 It is about everything that is quintessentially English and quirky, about celebrating the outdoors, gardens and gardening. About talented craftspeople and artists of today as well as the craftspeople of a bygone era, represented by vintage stalls,classic cars and a mini vintage fashion parade! There will be music from local musicians, dancing and even some performance art. The beautiful gardens at Knepp Castle, designed by Georgia Langton, will be especially open during the fair. Many Farmer’s Market Food stalls will be selling a wide range of carefully chosen food to suit everyone and most dietary requirements have been mindfully taken into consideration. There will be plenty of places to sit…Then there is The Artisan Bakehouse pop-up vintage tearooms, a local ale tent also serving Pimms, gourmet fishfinger sandwiches with nori batter, a barbecue, an unusual french potato stir-fry, freshly baked wood-fired oven pizzas, cooked as you wait vegetarian organic bhajis and pakoras, a maker of Ottolenghi-style salads, quiches, pies, cheeses, breads and smoked meat. Fruit smoothies,coffee, teas, a selection of cakes, strawberries and cream, local ice cream, chocolate, marshmallows, fudge and many interesting food stalls from which to buy a picnic to eat by the beautiful lake. 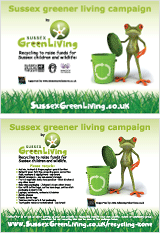 Sussex Green Living’s 100% recycled stand, Pedro and his recycled robots will be there, playing green games and giving ideas as to how people can lead a greener life. 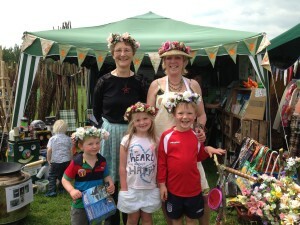 And selling floral garlands to raise money for the Philippine Community Fund.